When the path of life leads you to the one you want to spend the rest of your life with, you think about the exciting future ahead: getting married, having kids, watching them grow. Never do you think that you may not get to watch them grow. That is not a part of life you hear about. It’s not a club you ever think you would be in, until one day you are. When my husband and I found out we were pregnant with our first, we were beyond overjoyed. I immediately began creating his nursery full of handmade items. We dreamt of our beautiful future. The day I held him in my arms for the first time was the best day of my life. After his birth, we started to notice Jack could not move his muscles like he should. He never held his head up or moved his legs. After a week stay in the hospital, Jack was diagnosed with the #1 genetic killer of children under 2, Spinal Muscular Atrophy or SMA. We were told he had the most severe type and had just six months to live. I remember running into an empty waiting room of the hospital and falling to the ground. This wasn’t happening. This couldn’t be happening to our child. We were going to lose the person we loved most. When you receive a diagnosis that is terminal, for which there is no cure, and there is nothing you can do as a parent, you stop hearing, seeing, and being able to focus. You just go through the motions of the day. For a moment, I was scared to hold him and to fall in love with him more. I was afraid of taking pictures or making any memory, thinking it would be much more painful in the end. My mom snapped me out of it. She told me that I was chosen to be his mom. That I needed to hold him, love him, be there for him, and even if it meant going through some incredibly hard days, I would fight alongside him. That night I held him in my arms and never let go from that moment on. We took Jack home so that he could be more comfortable. He had a palliative care team and required multiple machines daily. He needed to be fed through a feeding tube, was on oxygen, and required a suction and cough assist machine to help clear his secretions. We didn’t let SMA stop us from making memories. We went to the zoo, on hikes, played in the snow, danced, laughed and had a birthday party each month. Jack taught us to live life to the fullest and enjoy every little moment. We fell more in love with him each day. Since Jack was unable to lift or use most toys made for babies his age, I decided to make him a small tag blanket that had crinkle material inside for him to explore. He loved it! From that moment, I continued to create more tag blankets and crinkle toys. Crafting was very therapeutic for me. I opened my Etsy shop a month after Jack’s diagnosis. I named it Jumping Jack in his honor. Jack would lie in my lap, connected to all of his machines, while I sewed away. He loved holding the ribbon and listening to music as we worked. He was right by my side every single day of his life. Jack took his last breath in my arms when he was just 6 ½ months old. We are so lucky to have had this beautiful boy a part of our lives but would have given anything to watch him grow up. He is truly the strongest person I know. After Jack passed away, we took a break from our Etsy shop. We went on a trip and focused on each other. At first little things like going to the grocery store were incredibly hard to do. Everyone was in the normal rush of life and our child was no longer here. We had our most precious thing taken from us and nobody knew. Slowly, we found a new normal, but life would never be the same. A few months later, we became pregnant. Many asked how I was doing being pregnant again after losing Jack. Our daughter will never replace Jack, but she gave us a reason to laugh again, a reason to love again. She has his eyes and brings so much happiness into our lives. We started back full time working on Jumping Jack a couple months later. I loved creating designs that were inspired by both of our children. I loved the daily connection I had to Jack. He is the reason we do what we do each day. When we created our ‘Favorite Reason’ tees that say “You are my favorite reason to never give up,” stories started trickling in about other people who have been through something most can’t imagine. Every day I read a new message from someone telling me about what this shirt means to them. It is really great to know that we are inspiring others, and others are inspiring us. We love that we are able to give back to a wonderful nonprofit as well. Jack is my #favoritereasontonevergiveup and $5 from every Favorite Reason tee purchase is donated to the Gwendolyn Strong Foundation. Jack is still the last person I think of before I go to sleep. He will always be our child, and I will never stop being his mama. I love that Jumping Jack will always a part of him and me. I love that each item I make brings joy to other little ones. I love that Jack’s story can inspire others to live each day to the very fullest. Sarah Bonelli lives with her husband Chris and their 3 year old daughter in Phoenix, Arizona.  They own Jumping Jack, an apparel and accessory shop for adults and children. Find them on Etsy, Instagram, or Facebook. What a beautiful story, and a beautiful family. Wishing you all the best. This is such a beautiful story. Life after a terminal diagnosis does stand still until you realise that it has to go on. It’s hard. It’s even more difficult after they die. But our strong babies keep us going. Thank you for sharing!